We’re planning now for a multistorey car park on the Caboolture Hospital site to provide more car parking spaces in a safe and secure environment. A community information session to discuss the proposed new multistorey car park at Caboolture Hospital will be held in comingweeks. Executive Director Dr Lance Le Ray said the current hospital car park consistently operated near or at capacity so there was a need to plan for carparking solutions into the future. “We know searching for a car park can cause stress for patients and visitors,” Dr Le Ray said. 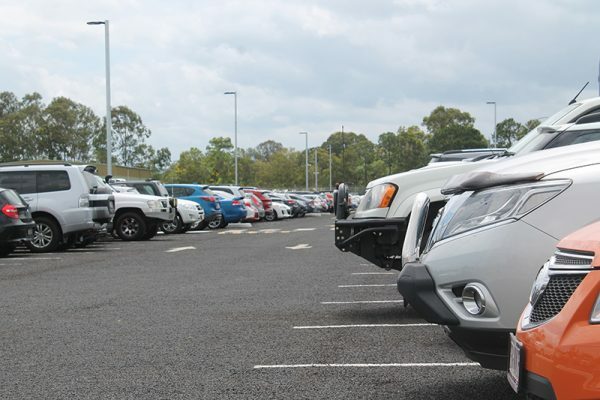 “In 2017, Metro North Hospital and Health Service acquired surplus land from neighbouring Caboolture State High School for a new 300 space car park and all-weather ambulance access road at the rear of the hospital. “The Federal Government contributed $2 million and the State Government $3 million to this important project, which addressed the need for more parking while the hospital continued to grow with the community. “The proposed $253 million Caboolture Hospital redevelopment due to start later this year will introduce new services, expand existing services and improve patient outcomes and quality of life. “However, these increased services at Caboolture Hospital will also mean more people needing car parks. “We’re planning now for a multistorey car park on the Caboolture Hospital site to provide more car parking spaces in a safe and secure environment. The community information session will be held on Wednesday 13 February from 4pm to 6pm in the Caboolture Hospital Education and Skills Centre. A formal presentation will be held from 4.15pm-4.30pm with staff on hand to answer questions throughout the evening. For more details, phone 5433 8524.